Before becoming a qualified Level 3 Personal Trainer, having gained my qualifications through Train Together, I had been a Train Together gym-goer since they opened in 2013. They gave me the ‘fitness-bug’ and I haven’t looked back since. I am passionate about learning new skills and since qualifying as a PT I have passed my Kettlebell Instructor course and am looking forward to being enrolled on many more health and fitness courses in the coming months to further my development and skills set. I am proof that you are never too old to train for a new career! Life really does begin at forty (two!). 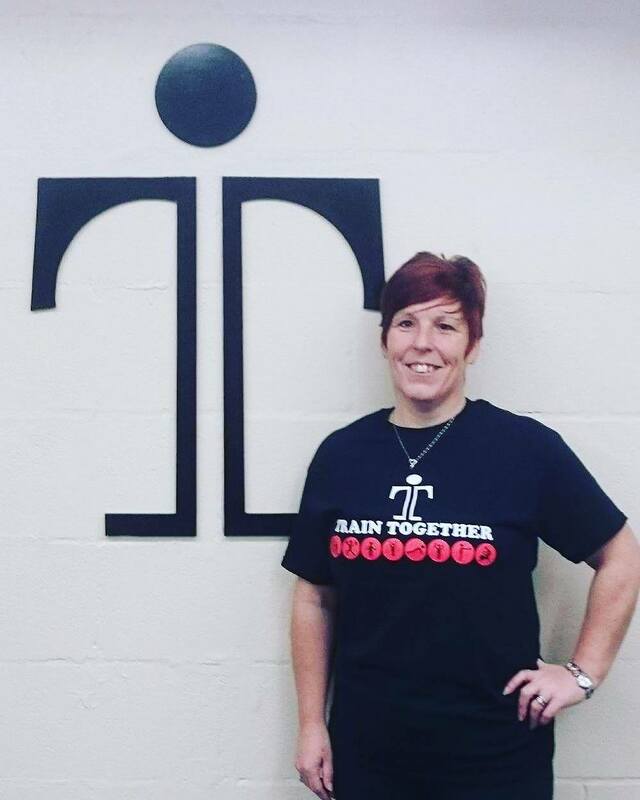 At Train Together, my role includes taking classes, assisting members in the gym, running our early morning Sunrise Boot Camps and helping organise Social Events for the gym! My classes are full of energy, great fun and a fantastic all-over, fat-busting workout. I truly believe that exercise should be something that you enjoy, something that you look forward to and something that gets you excited. The friendlier the environment, the better your workout will be and that’s exactly what I bring to the team at Train Together – a friendly trainer who really cares about you and your fitness journey. I can’t wait to see you in the gym! Get in touch with Julie today!